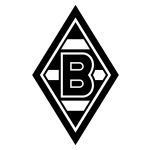 Borussia Monchengladbach vs Wolfsburg predictions for this weekend’s German Bundesliga. Can Gladbach bounce back from their first defeat at Borussia Park against Wolfsburg on Saturday? Read on for our free betting tips and match preview. Borussia Monchengladbach were joint second in the Bundesliga just two weeks back, but a shock 3-0 defeat at home to Hertha and an evenly matched 1-1 draw away to Frankfurt have all but extinguished their unlikely title hopes. It’s no coincidence that their drop in form from the end of 2018 until now has been linked with the drop in form of Thorgan Hazard – he is five Bundesliga matches without a goal for the first time this season – but the Belgian international is favoured to inspire them to a win at Borussia Park again this weekend – he has scored six goals in his last seven outings there after all. Wolfsburg continued to make progress in their push for European football against Mainz last weekend. After starting the new year with back-to-back defeats against Schalke and Bayer Leverkusen, the Wolves are now unbeaten in three, with Saturday’s 3-0 win pushing them one point within the top six. Dutch forward Wout Weghorst was on the scoresheet once again – his ninth goal of the season and his third in as many outings – and another strong showing from him against Gladbach could help put his side within three points of the Champions League should other results go their way. Check out our Anytime Goalscorer tips for this weekend’s Bundesliga here. Excluding that shock defeat at home to Hertha last time out, Borussia Monchengladbach have been one of the toughest sides to play against away from home in the Bundesliga, and as a result, we expect them to have a decent chance of getting back on track. However, with Wolfsburg also in good form, we’re thinking that a bet on ‘over 2.5 goals’ is the way to go here. Gladbach have scored over 2 goals per game in all but one of their home matches this season, but their recent performances have exposed some defensive flaws. Lucky for them, on the road, Wolfsburg haven’t been doing much better – Schwarz’s men have scored eight but conceded six across their last four away days. Wolfsburg’s matches in 2019 overall have also seen a massive 16 goals scored as well, an average of 3.2 goals per game, and, notably, 11 of these were seen in away games – a 2-1 defeat away to Schalke and a 3-3 draw away to Freiburg stand out. And with over 2.5 goals scored in five of the last six meetings between them too, you can see that this fixture is rarely a boring affair. Going off respective home and away forms, there isn’t a whole lot between them, but Gladbach’s record at Borussia Park just about trumps Wolfsburg’s impressive enough travelling record (W6 D2 L3). Going off that, we think they’ll just about clinch what should be an otherwise fairly matched game. Our prediction: 2-1 Borussia Monchengladbach. VfL Wolfsburg have beaten Gladbach more often than any other Bundesliga side (20 times), and have lost just one of their last six top-flight games against them (W3, D2) – a 3-0 defeat in their most recent trip there in April 2018. Borussia Mönchengladbach have lost just one of their last eight Bundesliga home games against Wolfsburg (W5, D2) – manager Andre Schubert was sacked after that 2-1 defeat in December 2016, with Dieter Hecking taking the reins. Gladbach have gone back-to-back Bundesliga games without a win for the first time this season (D1, L1), and have conceded twice as many goals in their last two top-flight matches (4) as they did in their previous seven combined (2). Gladbach suffered their first home defeat of the Bundesliga campaign last time out at Borussia-Park (3-0 to Hertha), having previously won all nine home matches. That one loss saw their tally of home goals conceded in the Bundesliga this season doubled. Gladbach’s last five Bundesliga goals have all come in the final 15 minutes of games. Borussia have scored just once before half time in 2019 – a league-low total, alongside Hannover. Gladbach’s Alassane Plea started on the bench for the 1-1 draw in Frankfurt last weekend, the first time he hasn’t featured in the starting XI since matchday 2. He hasn’t scored in any of his last four Bundesliga appearances; his joint-longest drought in the competition. Wolfsburg have collected seven points from their last three Bundesliga games, and already have more points on the board (35) than they did in the whole of last season (33). Wolsburg have won 20 points away from home in the Bundesliga this season – only Bayern München (27 points) and Borussia Dortmund (22) have collected more. Wolfsburg’s Wout Weghorst has netted in each of the last three Bundesliga games; his longest ever run in the competition. The striker is now VfL’s top scorer this season, with nine league goals to his name. Wolfsburg haven’t lost any of the nine competitive games captain Josuha Guilavogui has played in this season (W7, D2), winning 78% of those matches. When the midfielder hasn’t played, their win rate has dropped to 31% (five wins from 16 games).